A Made-in-USA company announces a free Facebook giveaway from now until the end of February. Contestants can enter to win one of 10 Original Lobster Rope Doormats up until February 28, 2015. What’s a Lobster Rope Doormat? The Original Lobster Rope doormat is made of real lobster float rope used by Maine fishermen to tether lobster traps together at sea. Most fishermen have changed to heavier sink-rope to protect the Northern Right Whale from getting ensnared in the traps. 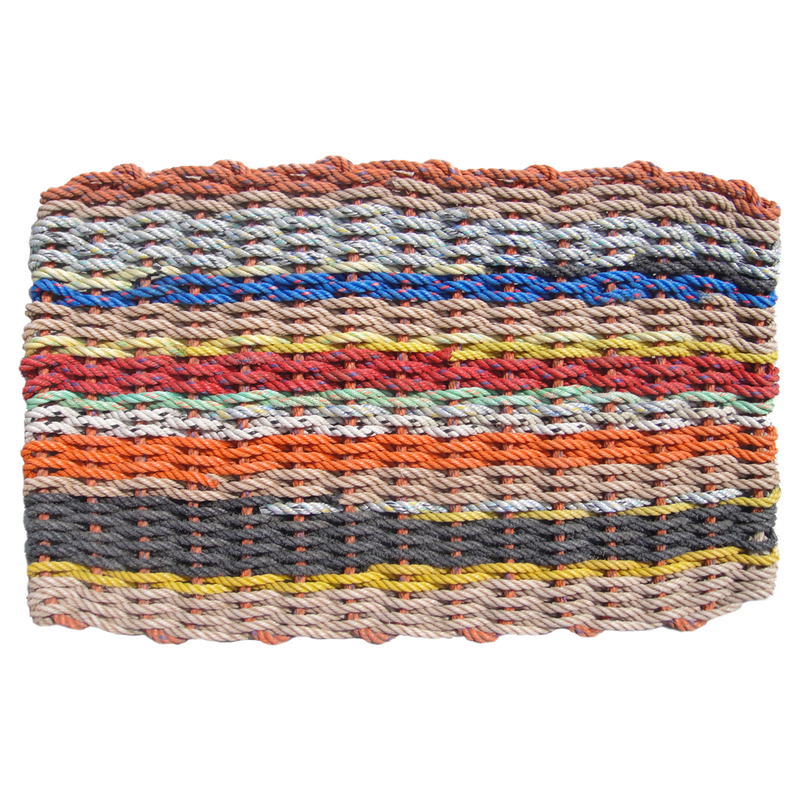 Saved from the landfill by an industrious “Yankee”, these colorful lobster rope doormats are handwoven, authentic and unique. Enter online at www.Woobox.com/yzphho and share with your family and friends to get bonus entries and more chances to win. Featured on NBC’s TODAY Show and NBC Nightly News as well as Better Homes & Gardens Magazine and HGTV Magazine, the Original Colors of Maine Lobster Rope Doormats are truly one-of-a-kind nautical-themed welcome mats that are durable enough to stand up to the mud, salt, snow, water and sand of all four seasons. The New England Trading Company, Ltd. is an e-commerce business that supports American jobs and eco-friendly products. The company specializes in handcrafted gifts and foods all Made in USA. Visit them at www.TheNewEnglandTradingCompany.com. The New England Trading Company, Ltd.